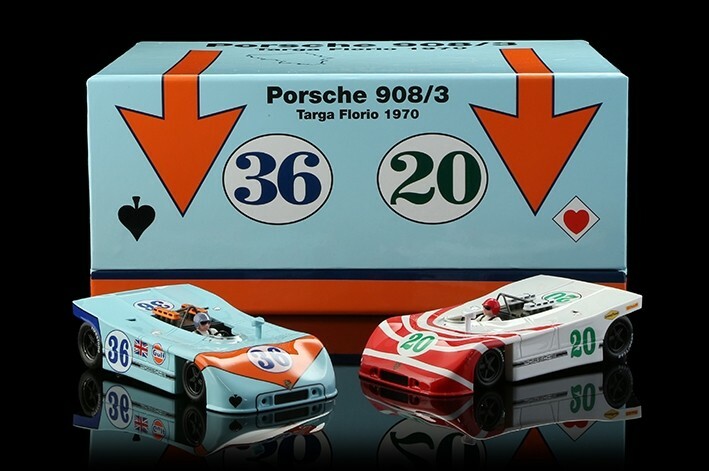 NSR Porsche 908 twin pack - SET 09 2/2 Limited Edition 450 pcs. 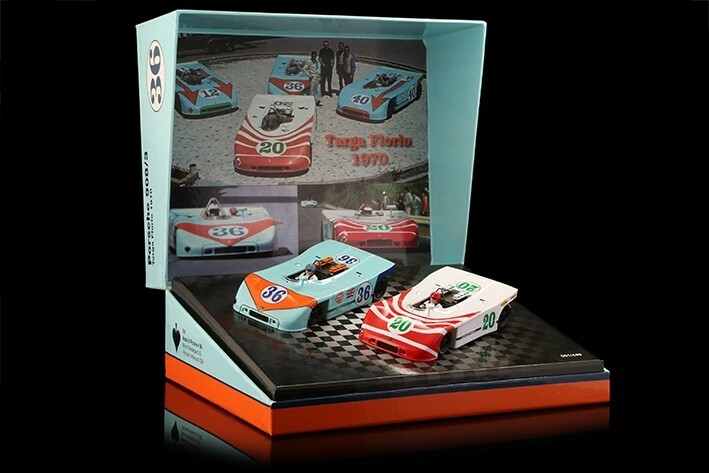 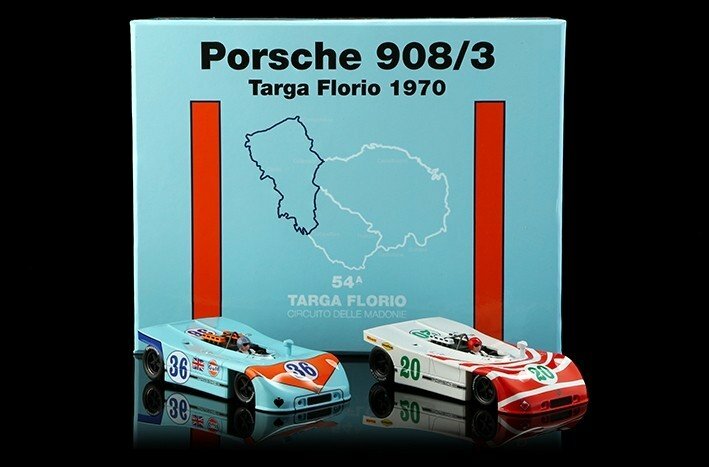 NSR Porsche 908 twin pack - SET 09 2/2 Targa Florio 1970. 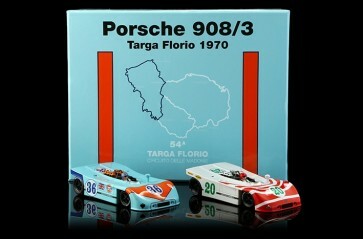 Porsche 908/3 #36 5th GULF edition + #20 Targa Florio 1970. 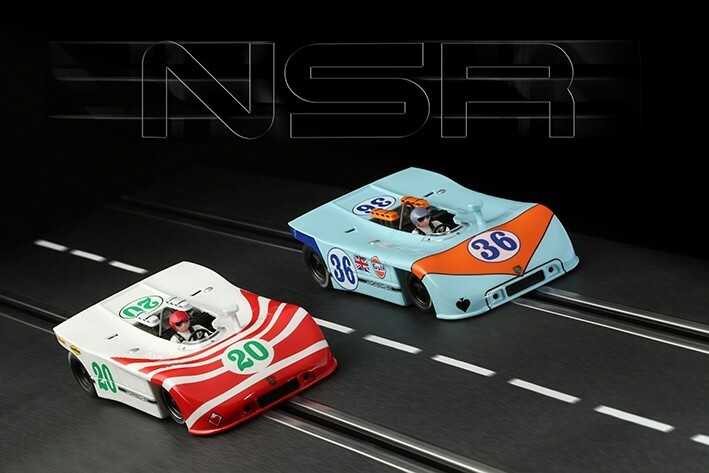 NSR cars are made entirely in Salerno, Italy, not China.